​The re-contextualisation of the name ‘No Comply’ to NO COM(PLY) emphasises plywood as both material and medium in skateboards. 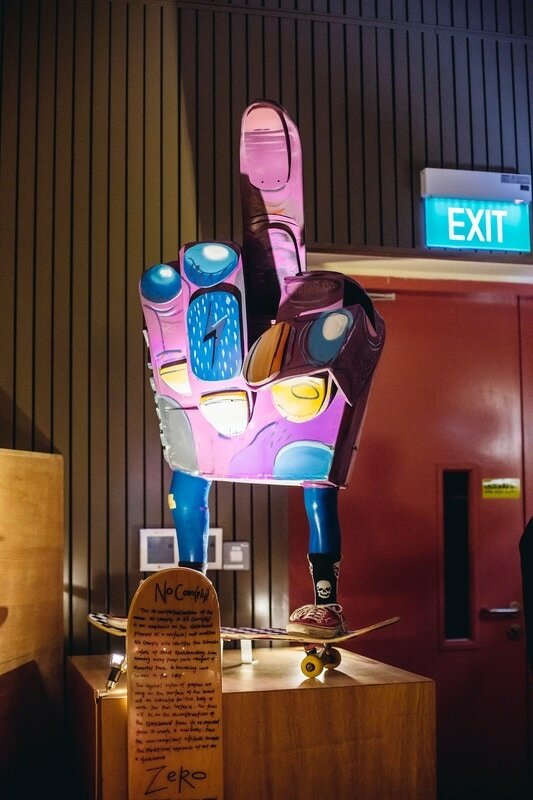 As a phrase, ‘no comply’ also signifies the subversive nature of the artist’s adventures in street skateboarding, from running away from park rangers at Memorial Park, to breaking curb corners in the CBD. 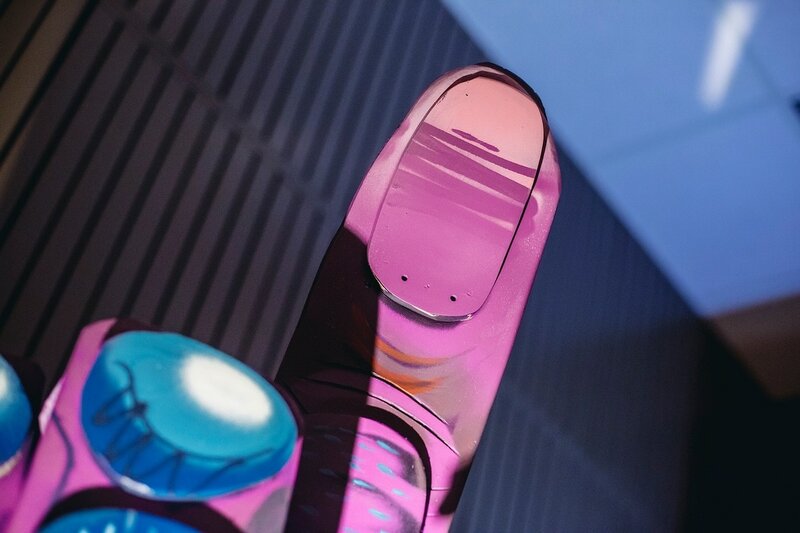 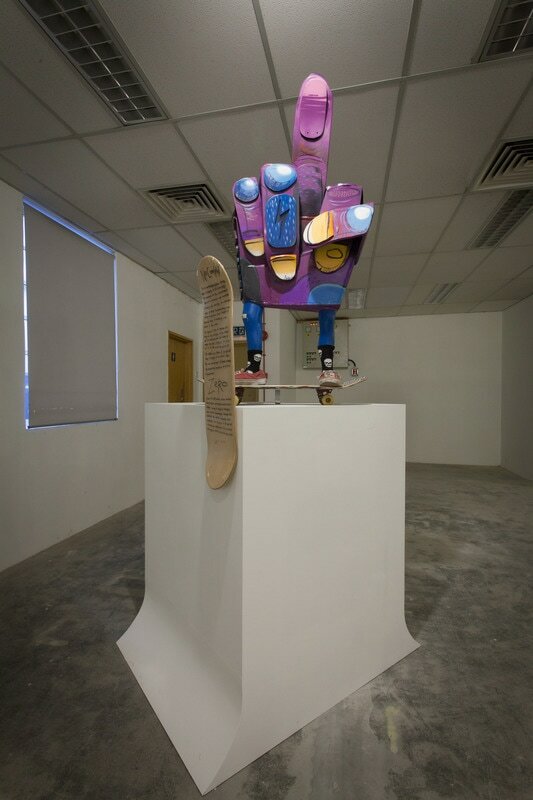 The typical notion of graphic art being on the surface of the board is subverted in this work, with the deconstruction of the skateboard from its recognised form to create a new body. 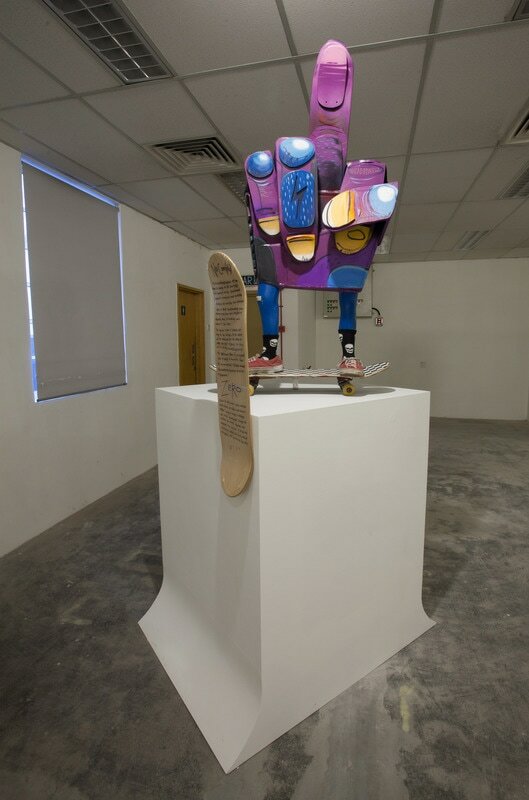 This subversion once again brings out the non-compliant attitude towards the traditional approach of art on a skateboard. 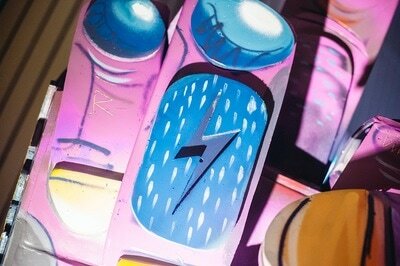 ​ZERO (b.1979) creates dialogues and social commentary through art that revolves around street culture, pop culture and current affairs. 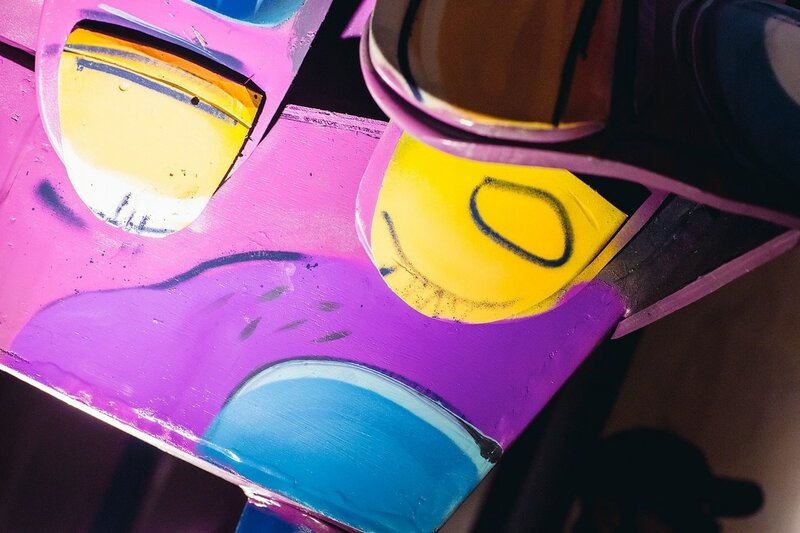 His works constantly integrates and negotiates the function of design and advertising within the framework of conceptual and traditional fine arts. ZERO has been invited to participate in numerous events and exhibitions both in Singapore and internationally, and has been an integral part in the growth of the ARTVSTS collective since its formation in late 2003. He is the founder of RSCLS, and an alumni of The Substation Associate Artist program.